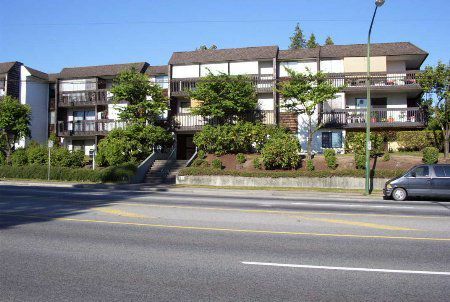 Spacious ground floor 2 bedroom unit on the quiet side of this well maintained building. Security bars and gate make this ideal for students or seniors. There is a nice garden patio, "cheater" ensuite bathroom, roomy pantry in the kitchen., Quiet, Comfortable 2 Bedroom unit SO CLOSE to SFU!